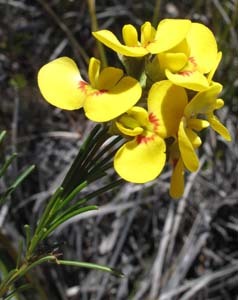 Dillwynia glaberrima (Parrot Pea) is a widespread and common shrub in wet heaths. 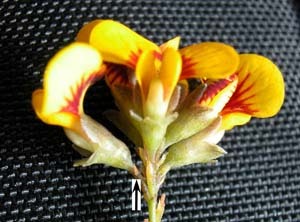 The leaves are very narrow and cylindrical, hairless and often about 1-2 cm long. 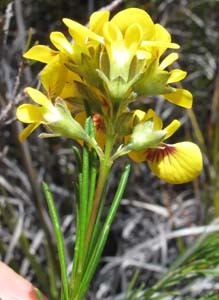 The flowers are usually yellow (unlike the golden-orange flowers of the other Tasmanian species) and are held in inflorescences of about 5-6 flowers.